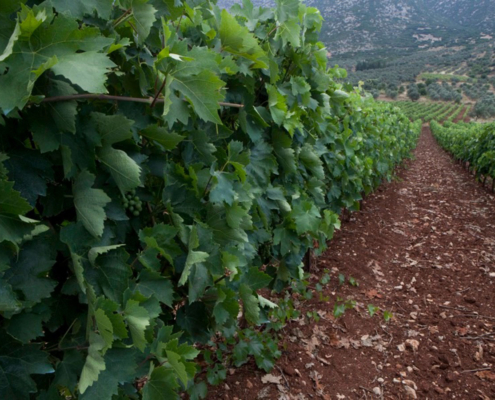 The main winegrowing zone of Rhodes stretches on the central-western part of this Dodecanese island. 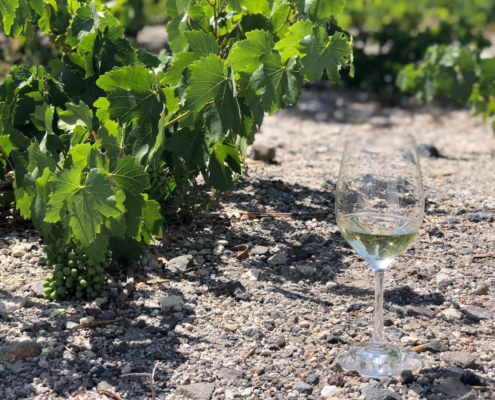 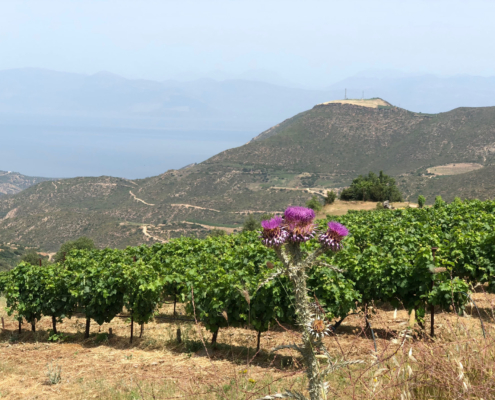 The zone devoted to the cultivation of the white grape variety of Athiri is much smaller and is concentrated on the slopes of Mount Atavyros (Agios Isidoros, Embonas, Kritinia, Lakki, Monolithos, Sianna) and somewhat in the area of Kamiros (Apollona). 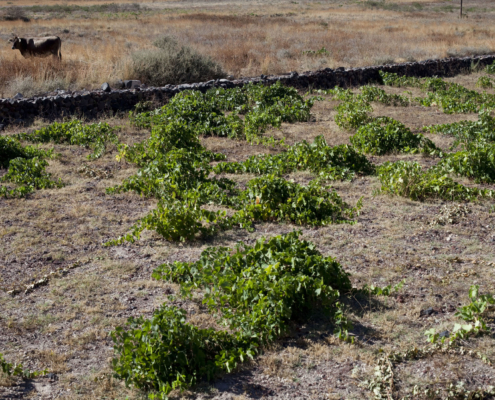 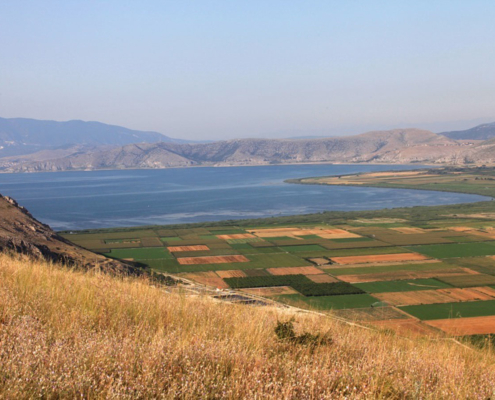 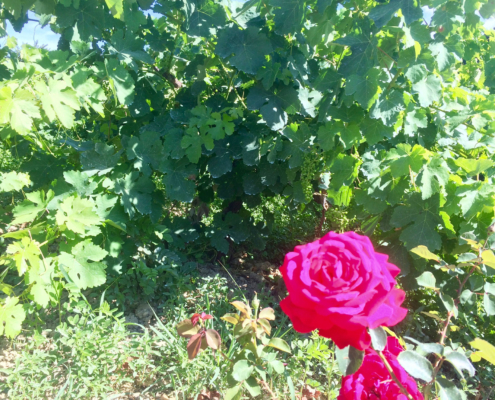 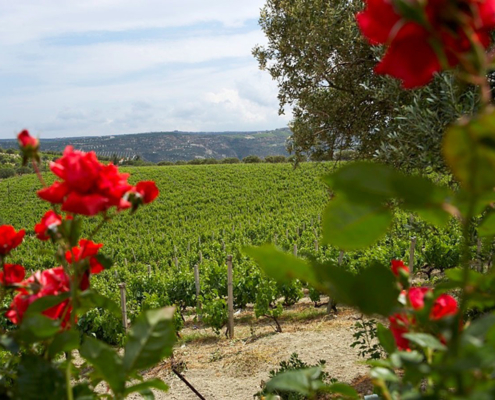 Amorgiano, as Mandilaria is called on Rhodes, is also cultivated in the same areas but the variety’s total zone of cultivation is wider and partially includes the area of Kamiros (Kalavarda, Salakos, Soroni, Fanes) and Petaloudes (Damatria, Theologos, Maritsa). 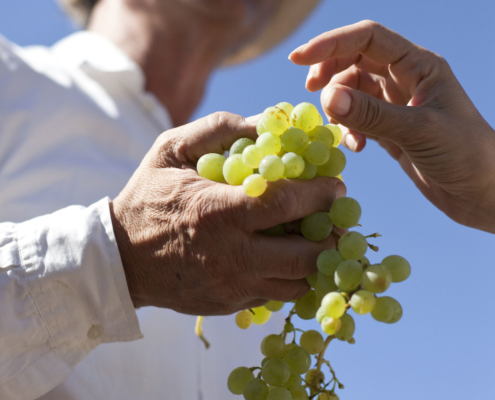 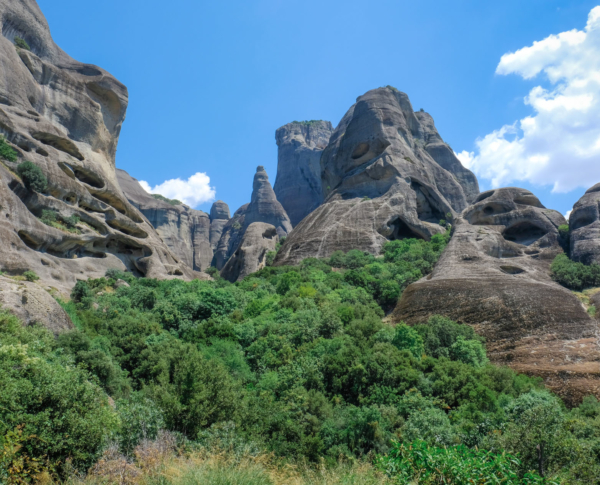 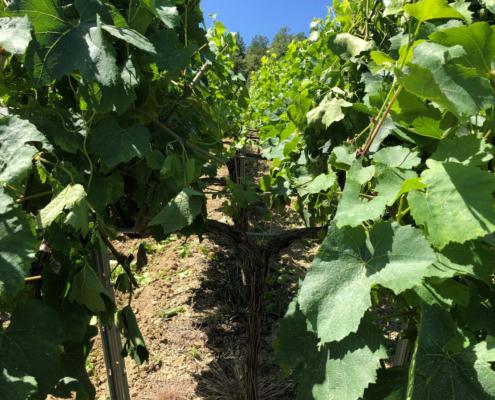 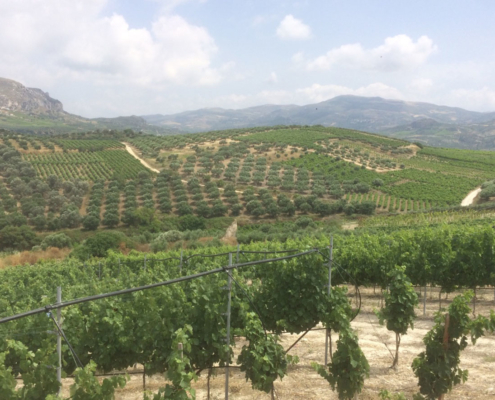 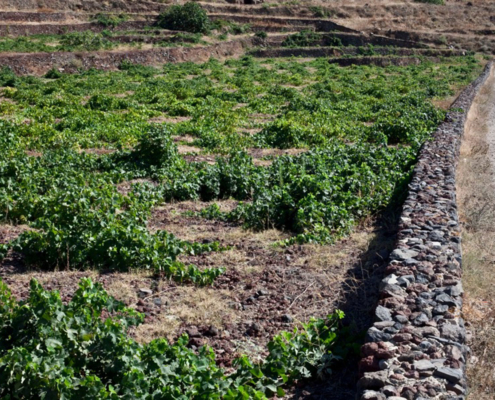 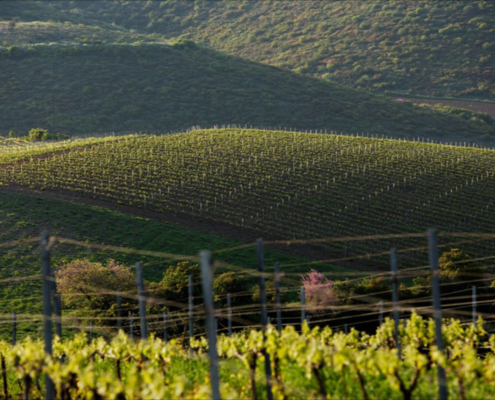 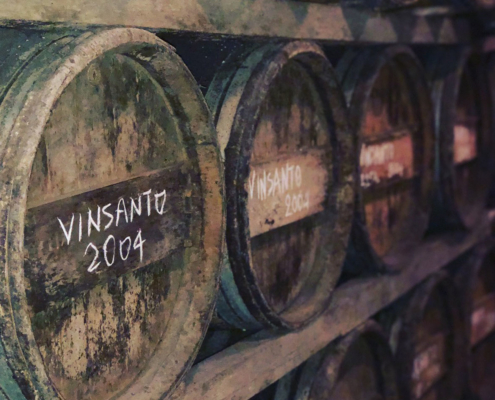 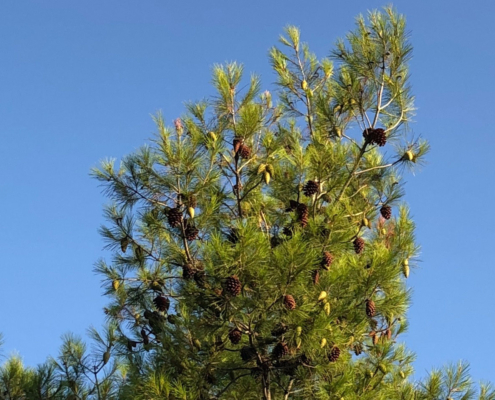 On the other hand, Athiri, which yields PDO Rhodes wine, is planted at mid-to-high altitudes as opposed to Amorgiano whose cultivation takes places at lower altitudes. 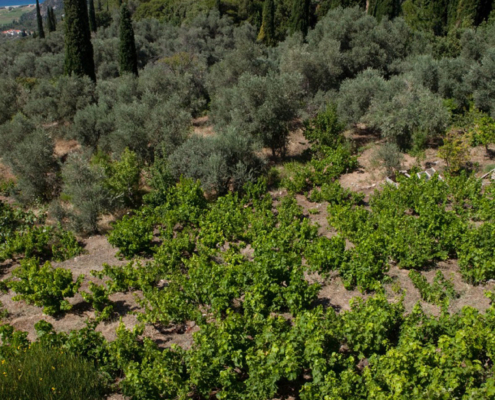 Due to its location, Rhodes was the access gate from where viticulture would enter from the East to spread through Greece. 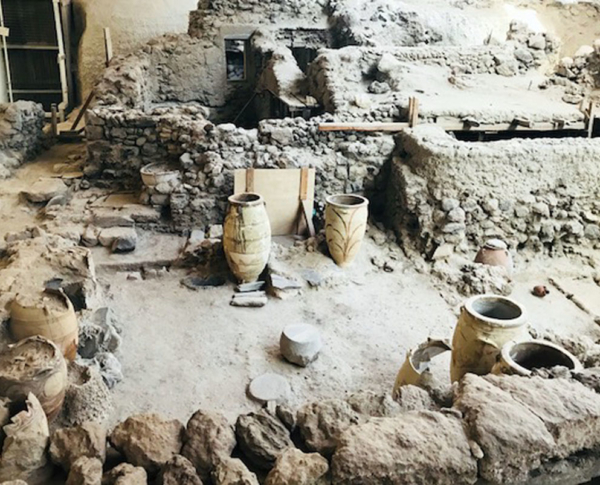 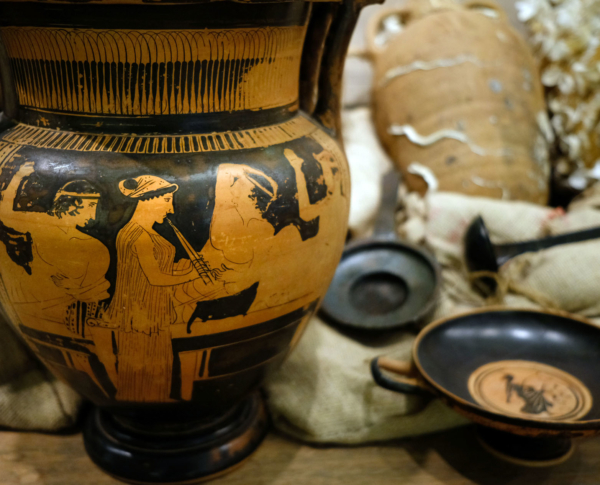 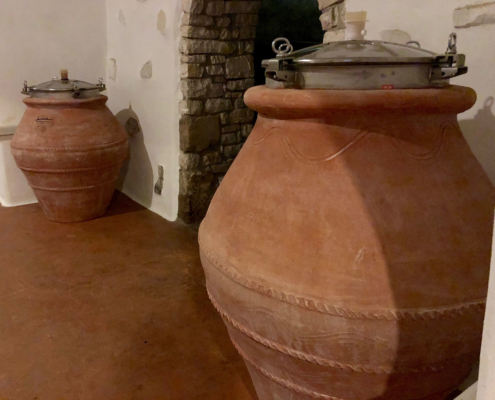 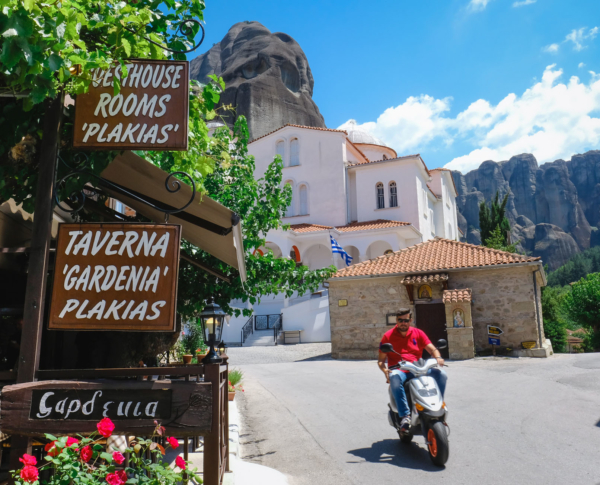 Wine growing and selling has been a part of the life on Rhodes since antiquity, a fact corroborated by the amphorae (sealed with the stamp of Helios) which have been found around the Mediterranean basin. 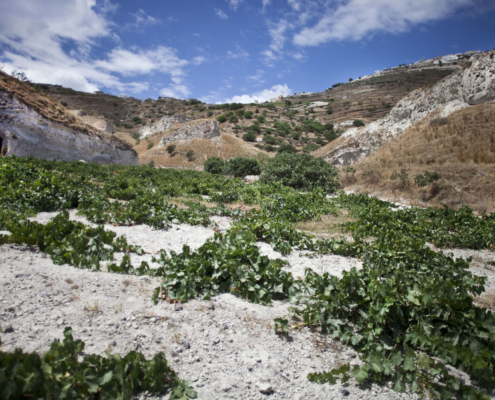 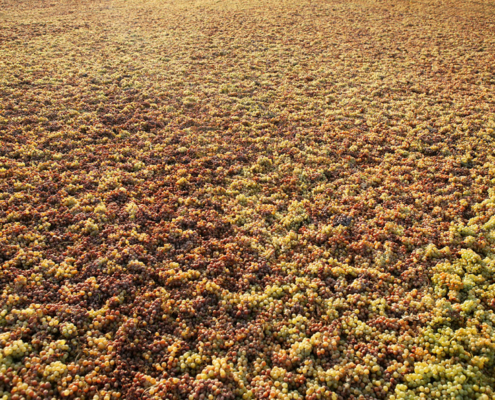 Phylloxera did make its appearance on Rhodes but the terrain is such on the island that the pest had no opportunity to spread. 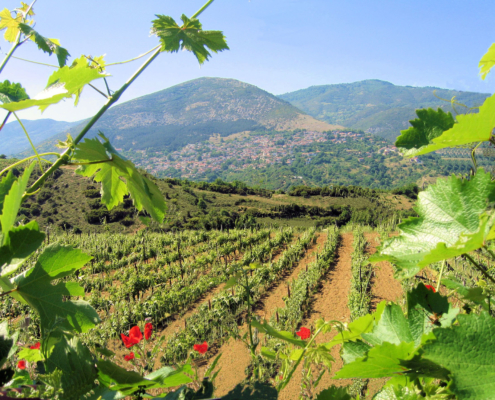 As a result, especially on the higher altitudes of Mount Attavyros, there are numerous self-rooted vines of advanced age. 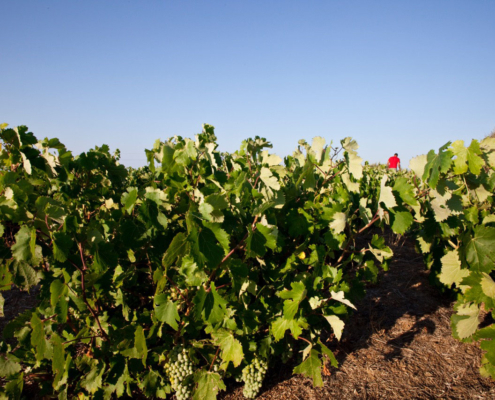 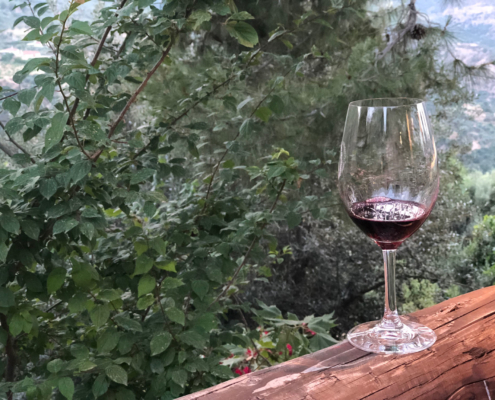 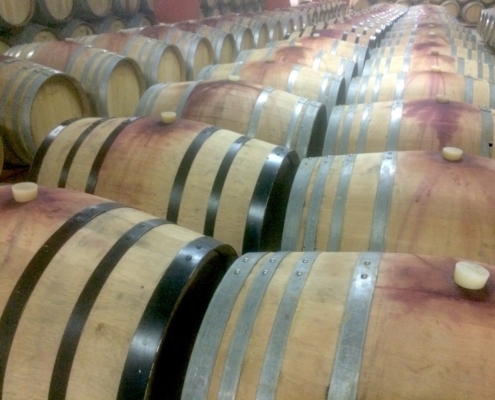 The PDO Rhodes red wine is the only one of the four PDO wines where the red grape variety of Mandilaria is vinified on its own (PDO Archanes, PDO Paros and PDO Peza are the other three). 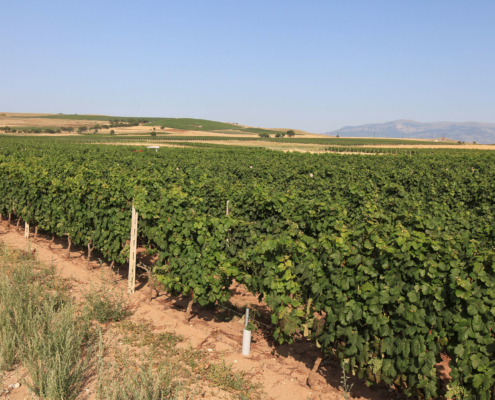 Rhodes has long been the leader and main source of Greek bottled-fermented sparkling wines although some popular bottlings are tank fermented. 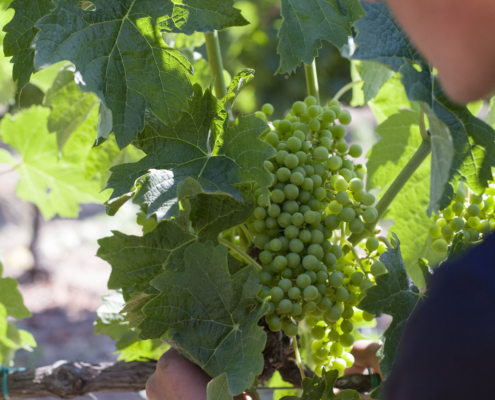 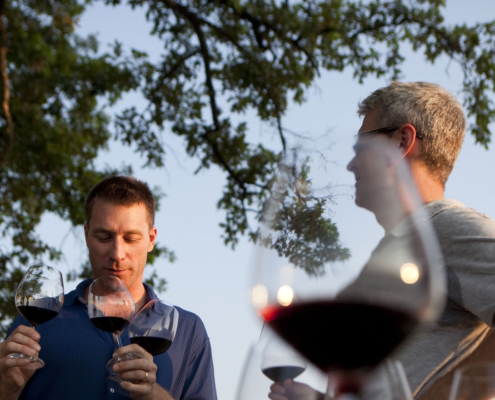 Their style is extremely charming, made for easy drinking, combining warm climate fruit ripeness with freshness. 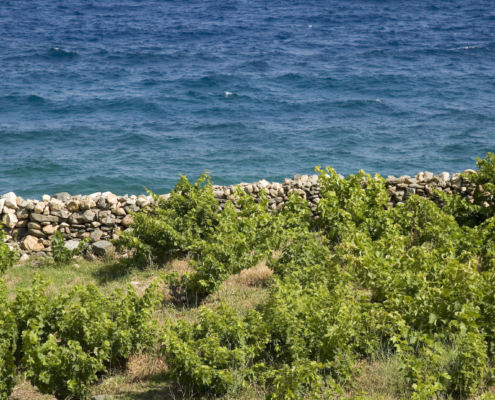 Some rosé versions are among the very best sparkling wines of the whole Mediterranean region.